LONDON — Gerry Adams, the divisive politician known around the world as the face of the Irish republican movement as it shifted from violence to peace, announced Saturday that he was stepping down as leader of Sinn Fein next year after heading the party for over 30 years. The 69-year-old veteran politician — who has been president of Northern Ireland's second-largest party since 1983 — told the party's annual conference in Dublin he would not run in the next Irish parliamentary elections. "Leadership means knowing when it is time for change and that time is now," he said, adding the move was part of an ongoing process of leadership transition within the party. A divisive figure, some have denounced Adams as a terrorist while others hail him as a peacemaker. He was a key figure in Ireland's republican movement, which seeks to take Northern Ireland out of the U.K. and unite it with the Republic of Ireland. The dominant faction of the movement's armed wing, the Provisional IRA, killed nearly 1,800 people during a failed 1970-1997 campaign to force Northern Ireland out of the U.K. It renounced violence and surrendered its weapons in 2005. Although many identify Adams as a member of the IRA since 1966 and a commander for decades, Adams has long insisted he was never a member. Adams was key in the peace process that saw the signing of the 1998 Good Friday Agreement and the formation of the power-sharing government in Northern Ireland. 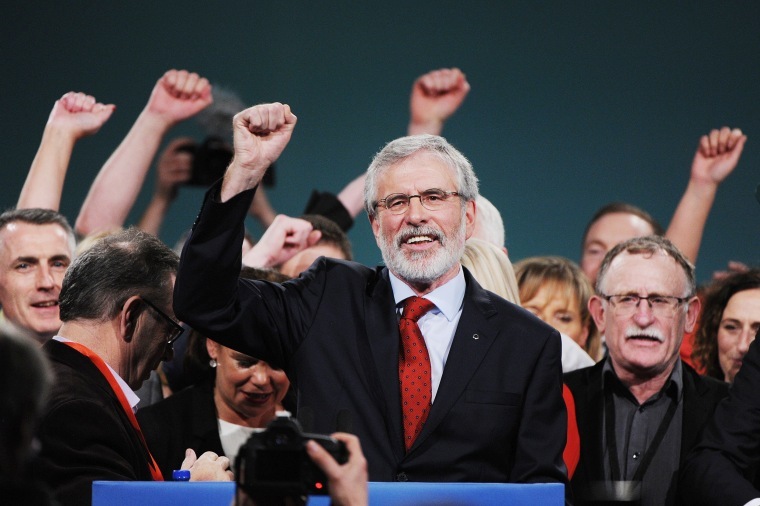 Many believe Sinn Fein's popularity among voters is hampered by the presence of leaders from Ireland's era of Troubles. The party is expected to elect a successor next year. Current deputy leader Mary Lou McDonald was seen as a favorite to succeed Adams.